Don't miss this Moscow Community Theatre production! The Foreigner is a farce about a shy proofreader, Charlie Baker on vacation at a small Georgian fishing lodge. To avoid the other guests, he pretends to be a non-English speaking foreigner. The lodge’s other tenants begin speaking freely around him, revealing their secret, scandals, and intrigue. 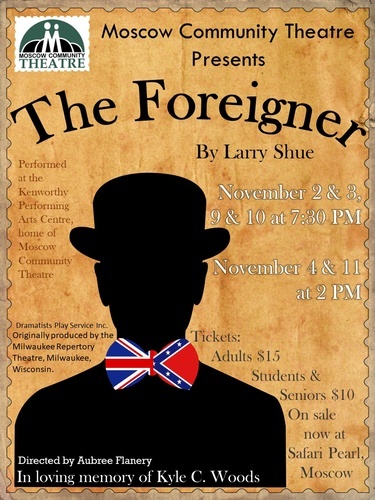 The Foreigner is a two-act comedy by Larry Shue that is funny, heartwarming, and socially relevant without sacrificing its charm. It has earned two Obie Awards and two Outer Critics Circle Awards as Best New American Play and Best Off-Broadway Production. 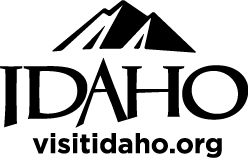 Tickets: Adults - $15, Students & Seniors - $10. Available now at Safari Pearl, Moscow.